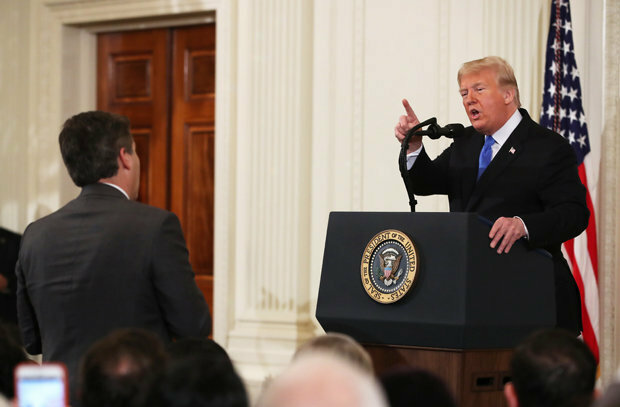 The two repeatedly spoke over one another, and when Trump tried to move onto another reporter, Acosta kept talking, even as an intern sought to take the microphone from him. 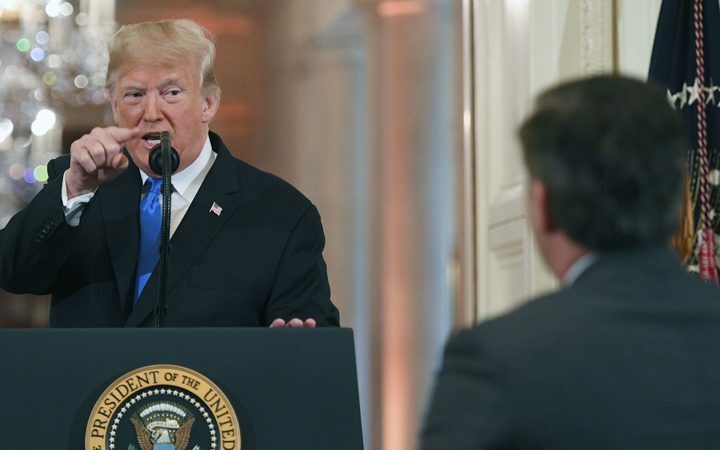 The fallout from Jim Acosta's verbal argument with President Donald Trump didn't take long to manifest: The CNN reporter said on Wednesday he was denied access to the White House just hours after challenging Trump during a televised press conference. Wednesday was no different with Acosta telling Trump he was wrong to call the migrant caravan "an invasion" and asking if he had "demonized immigrants". "Here we go", Trump said to Acosta. President Trump: "I don't know why you'd say that". Sanders announced in a press release distributed at 8 p.m. Wednesday ― and in a series of five tweets posted a few minutes earlier ― that the White House was confiscating Acosta's Secret Service-issued press credentials that permit entry into the White House complex. Trump told him "that's enough", called the investigation a "hoax", and then told Acosta he was a "rude, bad person" who treats people "horribly". The president's mood turned sour Wednesday after reporters pressed him on why he referred to a migrant caravan making its way to the US on foot through Mexico as an "invasion". The clash between President Donald Trump and the media was summed up in a viral, misleading tweet. I have posed the question to Sarah Sanders, why - why was Patrick Casey here, and what - who was he meeting with? Matt Dornic, a vice-president at CNN, said: "Absolutely shameful, @PressSec". Joy Behar said she seconded a theory saying Trump set up the altercation to distract from more pressing matters, like the co-called caravan and Democrats taking over the House of Representatives. "President Trump believes in a free press and expects and welcomes tough questions of him and his Administration", Sanders said in her statement. Later, the White House pulled his press credentials. 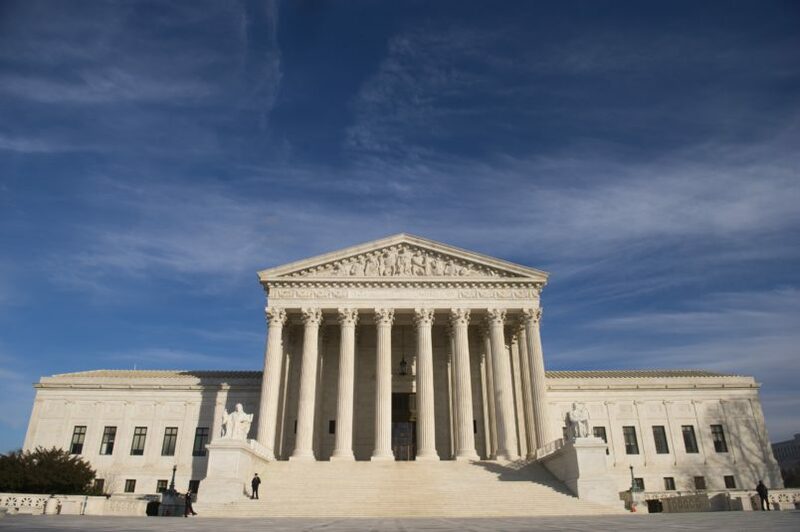 "As working professionals, members of the news media have an obligation to verify the accuracy of what they report, with loyalty only to their readers, listeners and viewers and not to any political party, affiliation or ideology". "I'm not a fan of yours either. We stand by our statement". "I'll tell you what". "I've never seen a president do anything like that". Trump told Ryan, of American Urban Radio Networks, repeatedly to sit down when she attempted to ask Trump about accusations of voter suppression.